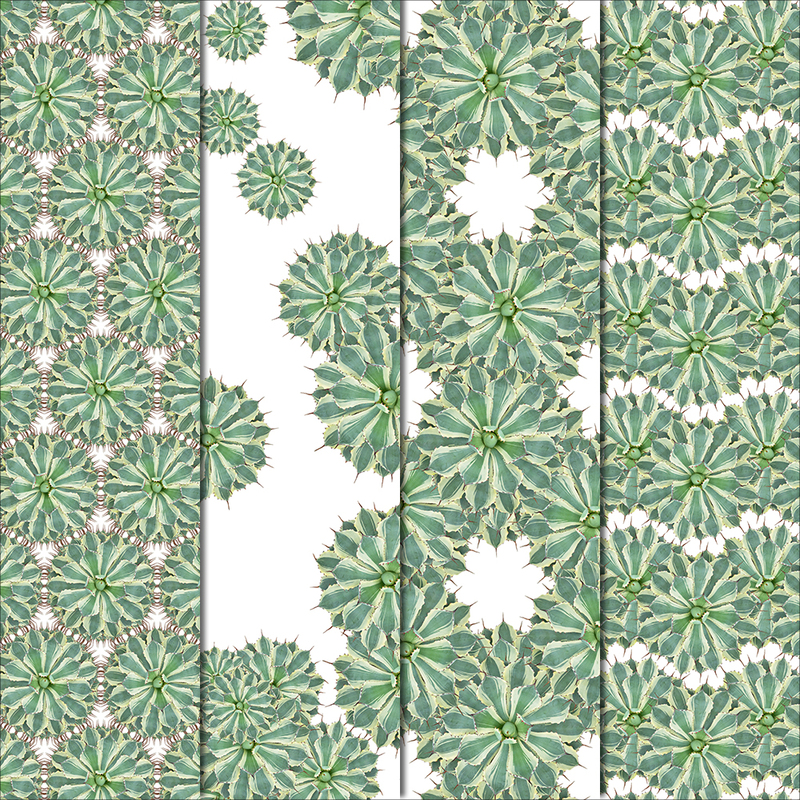 Inspired by nature, these botanic patterns are made with REAL Agave Kissho Kan succulents. Each pattern is made with natural photographic elements. 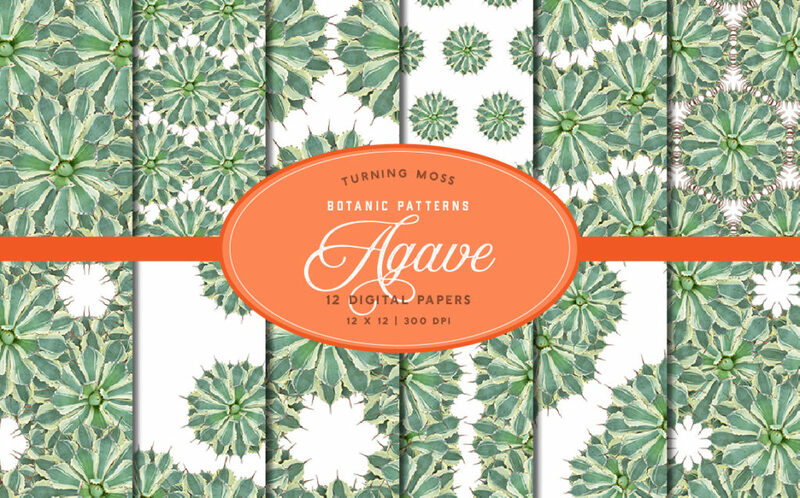 In this pack you will find 12 unique decorative papers, created entirely with digital Agave Kissho Kan succulents. 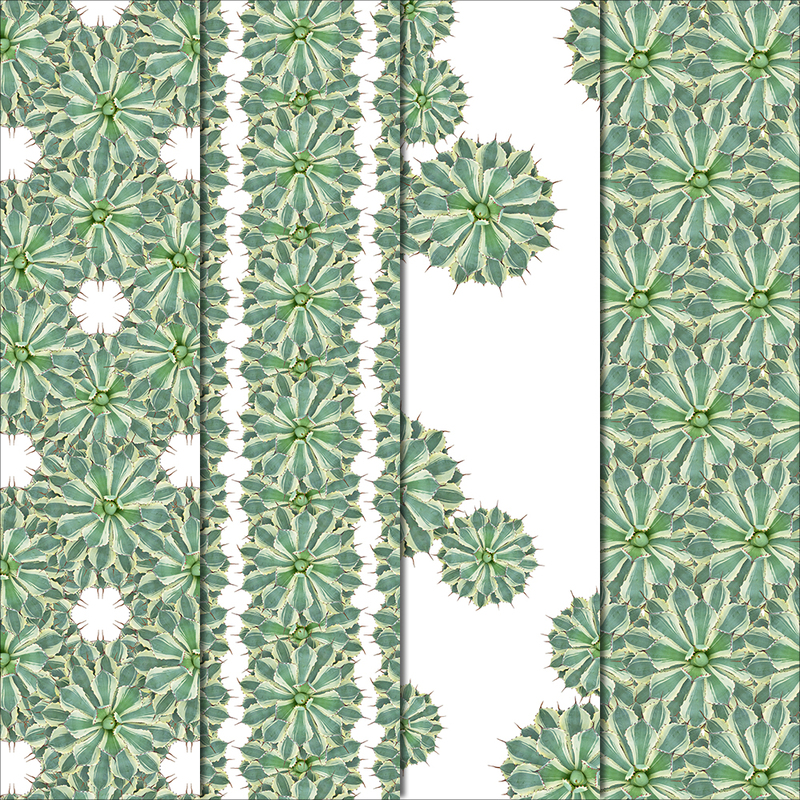 The Agave Kissho Kan succulent in these patterns is variegated with sage-blue and tan foliage. The leaves form a symmetrical rosette and are lined with brown spines. 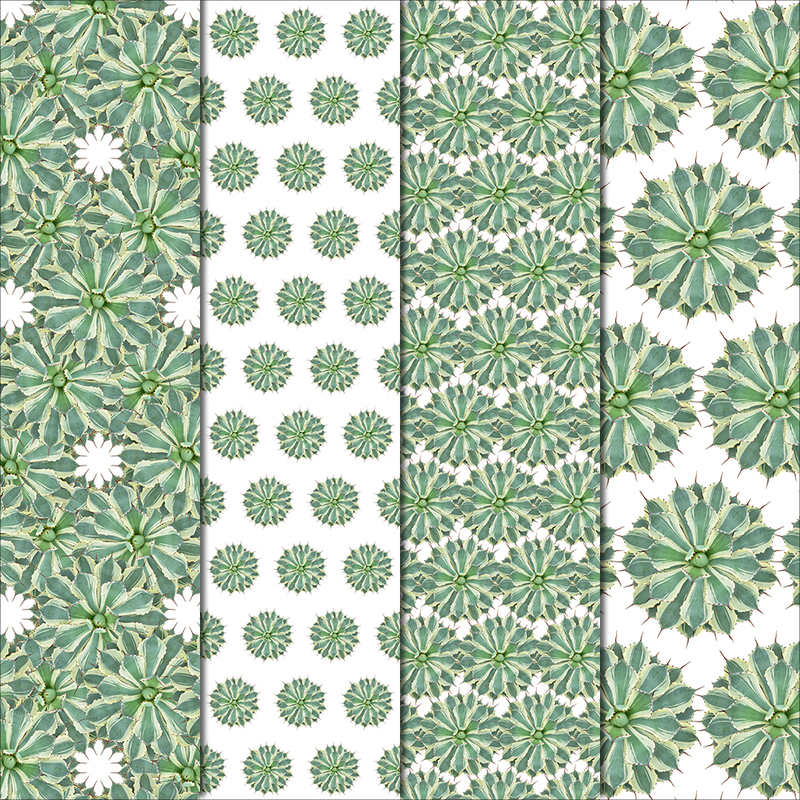 This Japanese succulent is refreshing and clean, the patterns in this pack are all made with a WHITE background.